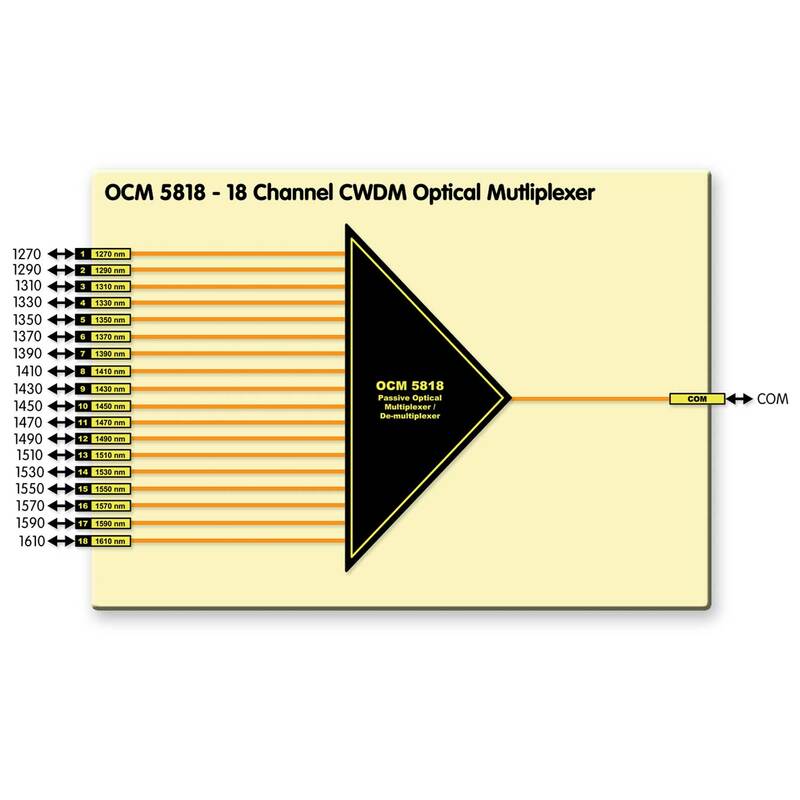 The OCM 5818 is an 18 channel CWDM passive optical multiplexer and/or de-multiplexer. 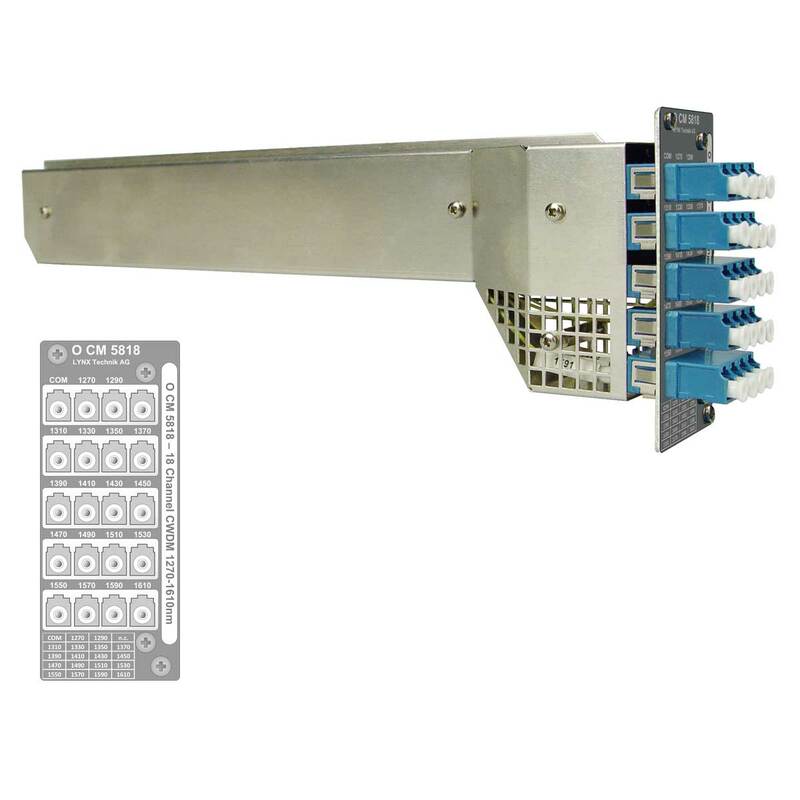 This module allows the combination of up to 18 optical signals into a single unidirectional or bi-directional fiber link. This version of the module supports all 18 wavelengths as specified in the ITU standard CWDM channel spacing grid (ITU-T G 694.2) namely 1270nm through 1610nm wavelengths.